Apartment of 51 sq-m for 7 persons, on the 3rd floor of the residence with lift. South facing balcony. Living area and dining space, sofa, television and storage. Open plan kitchen with 4 electric hobs, oven, microwave, dishwasher, fridge, electric coffee machine. Bedroom 2: 1 set of bunk beds (2 persons), and a single drawer bed. - Bathroom with bathtub and basin. - Shower room with basin. Ski locker - Possibility to rent a covered parking place: 60 Euros / a week. 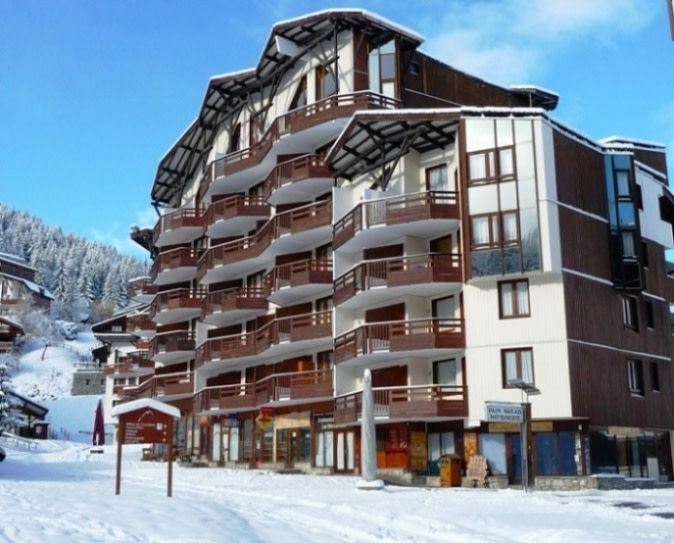 Our little apartment was ideally located in the Centre of the resort directly at the piste, close to the Supermarket, bakery etc. The apartment is to be recommended for 4-5 people (not to be recommended for 7!) The kitchen is very small but very well equipped. It would have been nice to have one extra chair at the table (other than the stools). All in all a very pleasant place to spend a week for skiing!